As I headed into work on Wednesday 2nd July, I had no idea that by the time I came home that evening I would have done two live interviews at New Broadcasting House, headquarters of the BBC. I’ve done several radio interviews previously and have been in discussion with makers of The Big Questions on at least three occasions about appearing on that show (one of which, tellingly, ended when the researcher declared I was “a bit too in the middle on the issue”). However this was to be my first experience of being on television. I was due to have an admin splurge in my office, before a scheduled trip to London in the afternoon for a trustees’ meeting. 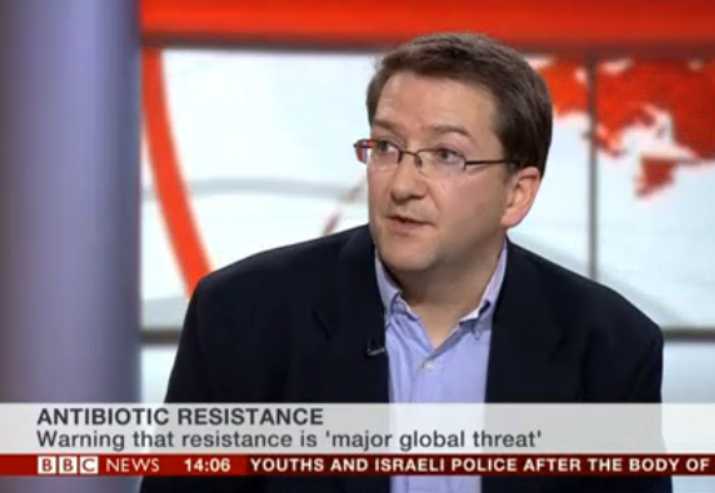 The news that morning had included an announcement by David Cameron that there a new review was to be set up, looking into ways to tackle antibiotic resistance (see Antibiotic resistance: Cameron warns of medical ‘dark ages’).